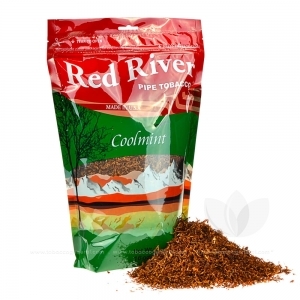 Red River Coolmint Pipe Tobacco uses strong minty flavors to create a refreshing and cooling blend. With a full flavored and full-bodied taste, this flavor is a good fit for someone looking for a strong yet minty tobacco. Red River features a more traditional and rough tobacco taste, that you would find with more bargain oriented blends. The full line is aimed more towards experienced smokers that can handle a harsher kick and aftertaste. 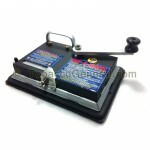 Red River Pipe Tobacco is a bargain oriented line of tobacco that is manufactured by Global Tobacco LLC. in Dallas, Texas. This cheap pipe tobacco uses affordable and readily available tobaccos to create well balanced and full flavored blends. 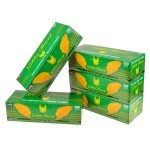 Each bag comes in a re-sealable pouch designed to keep the tobacco fresh and ready to use.